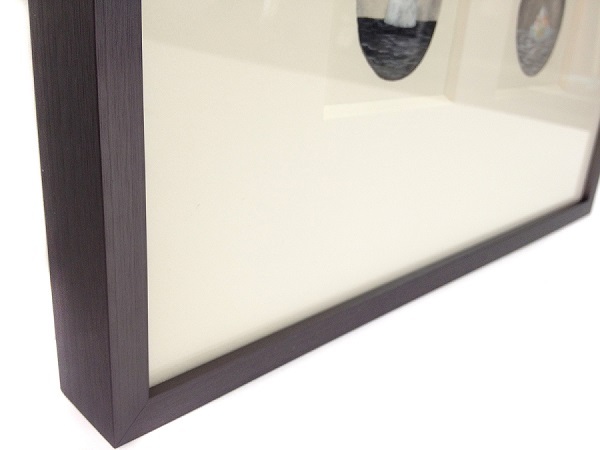 Multiple matting is one of the more common ways to add colour or detail to the interior of a frame. Layering one mat on top of another and revealing a portion of the mat below it can be done with as many mats as you wish. Double matting is fairly standard, but triple (or more) mats is always an option. Mats can be cut with any number and arrangement of openings. In one frame, it is possible to sit several images, plaques, objects, or any combination thereof. The openings can be any size, mixing and matching the arrangement of items that will work best for you. Mat openings can also be cut with a variety of different shapes. Squared or rectangular openings are most common, but you also have the option of circular openings, ovals, scalloped cuts, bell-shaped openings- even cut-outs in the shape of hearts for your loved one, alphabet letters for your grandchild, or the maple leaf for your favourite Canadian team. Fabric mats are one way to mix different textures in a frame. From linen to suede and leather, the incorporation of these different materials offers a subtle richness to the overall feel of the frame. Fabric mats often work well with pieces that incorporate some aspect of textile in them. Medals, for example, are typically presented with carefully designed ribbons. 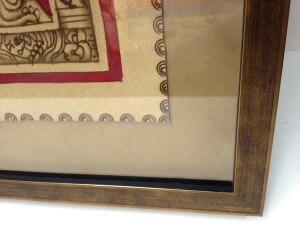 The woven material stands out exceptionally well on suede mats, drawing your eye to the various textures in the frame. Metallic mats can be used in a similar way. 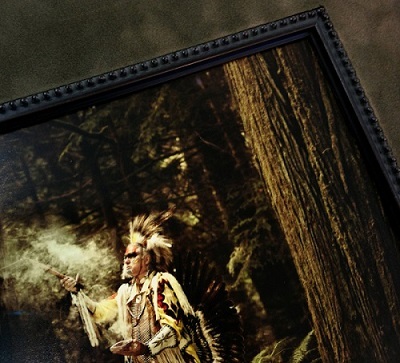 As a strong element of a frame, they are best suited as an accent piece. Revealing even just a hint of the shiny surface can be effective at drawing attention to the glimmer of a silver or gold seal on a certificate, for example, or on the foil lettering of a wedding card. Raised mats can be used to provide depth in a frame. Archival foamcore is inserted between the mats to create a small gap, which creates the appearance of different ‘levels.’ Aside from the strictly visual interest a raised mat creates, they are also particularly suited to certain kinds of media. Pastel and charcoal artwork can be very fragile. Framed properly however, the piece can maintain stability for hundreds of years. 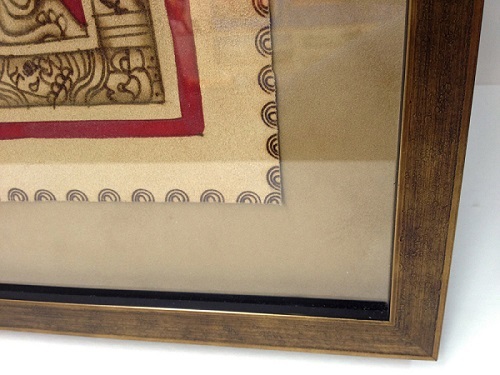 A raised mat is recommended for framing pastels for two reasons. Firstly, the mat stays entirely off the pastel painting, so no pigment is removed, and secondly, the small gap allows the pastel dust that falls off the surface of the painting over time to float to the bottom of the frame, rather than getting stuck between the surface of the mat and the glass. Artwork can be floated in a frame in a number of ways. 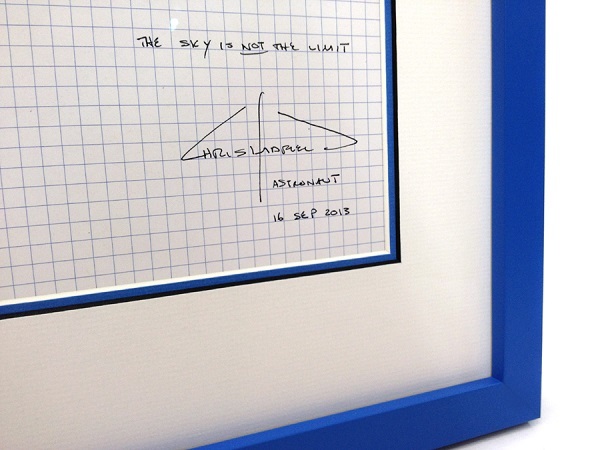 As the name suggests, the artwork sits on top of the mat (instead of underneath it) so it appears to ‘float’ in the frame. The artwork is secured archivally with a hinge-taping process. 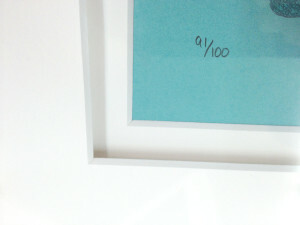 Floating has some advantages on pieces where the artwork or image goes right to the edge of the page, or when the paper itself has a handmade decal edge. There are two different types of floats: a flush float and a raised float. A flush float means that the artwork is flush, or flat, against the bottom mat. A raised float means the artwork is lifted off of the mat with a sheet of archival foamcore. Raising the artwork is similar to raising a mat, as it adds depth to the frame, and allows the raised artwork to cast a small shadow across the bottom mat.